Ms. Deborah Harris -Lead singer and background. Alto register with the natural gritty sound that can also handle many of the male songs the band does. Very versatile performer and stage show extraordinaire. Ms. Dai Wurl- Lead singer and background vocals. 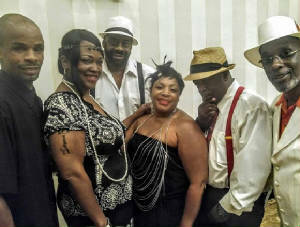 Soprano register and gifted entertainer. The youngest of the bunch and she loves to bring the audience into the show. Dai sings all the extremely high vocals with a natural soprano voice. Mr. Kenny Hopper- Keyboards, bass guitar, lead and background vocals. Kenny is the Manager of the band and the band’s director. Mr. Mike Morris- Bass, lead and rhythm guitar lead and background vocals. Mr. Craig Dotson- Lead guitar lead and background vocals. Proficient soloist. Mr. Kim Smith- Drums, percussions, and background vocals. 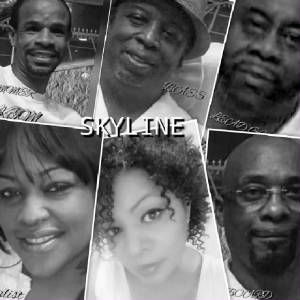 Together these accomplished musicians have well over a century of stage and studio experience which assists them in generating a very flavorful, colorful and unique R&B and sound. Although there are only four instruments, the fullness of the compositions can feel like an orchestra presentation encompassing the intricacy of the original arrangements. The band has been together for approximately four years and have done long standing gigs at Suzy Q’s, Fever, Sharkey’s, Southern Comfort, Ladies and Gents, as well as the Mayors of Elizabeth, Newark and Irvington, New Jersey. They have also played in various clubs in Southern New Jersey and are willing to travel in other area of the United States. 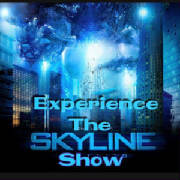 POPPMusic.net introduces to you for your listening pleasure; The Skyline Show-band! ENJOY OUR MUSIC!! !